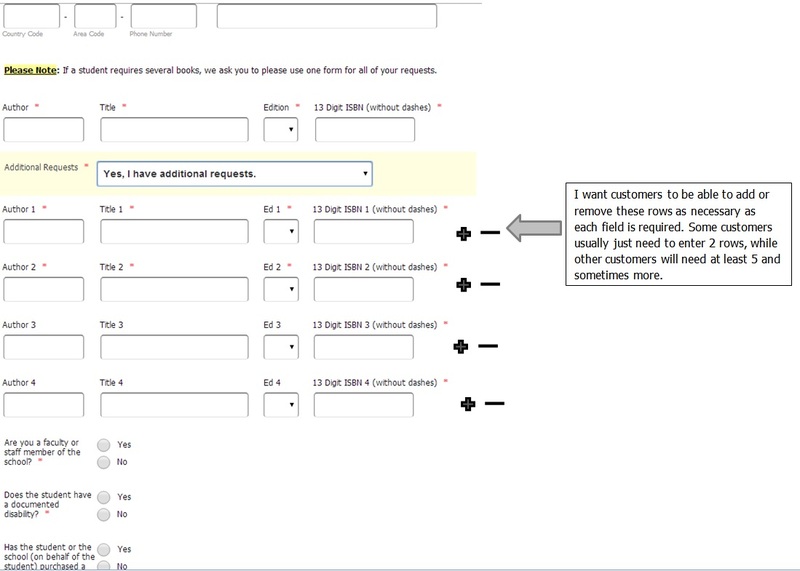 For the form, I would like the customer to be able to add/remove additional lines if they deem necessary.For example, say they have one extra book to request and then they can submit the form. In another example, another customer may request two extra books. Please see screen shot below and let me know if you need further details on this. I also want to ensure that only fields that are filled out are VISIBLE when the form is submitted. Can you please help? We will handle the second question via this thread. Can you please see the attached picture and let me know if someone can further assist. I want customers to be able to add or remove rows as they deem necessary. Is this something that can be done without putting several conditions on my form? I want it to be straight forward to do. Using configurable list widget is easy and need not to write any conditions. 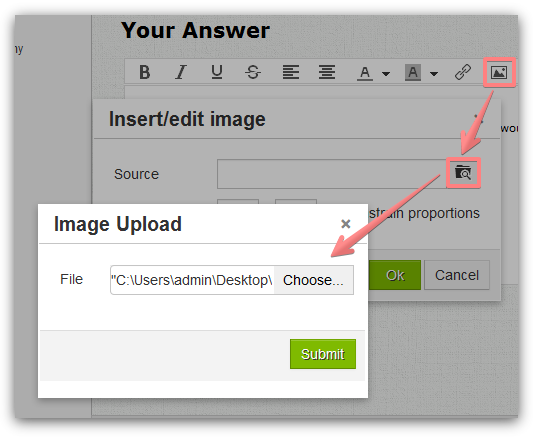 Please go through the document here that helps you in adding this widget to your form with detailed instructions and illustrations. You can also limit the users from a minimum and maximum as per your requirement. Hope this information helps you. This is helpful, however our one field in particular requires a certain length of numbers. Please see my form for 13 digit ISBN - which a user cannot proceed without entering exactly 13 digits (no more and no less for numbers). How do I get this field on the configurable list? Essentially, how do I replicate what I currently have into the configurable list format? The input mask option is not available for configurable widget fields, also there is no way to style it in the same way as the standard form fields. How add a button show/hide fields?